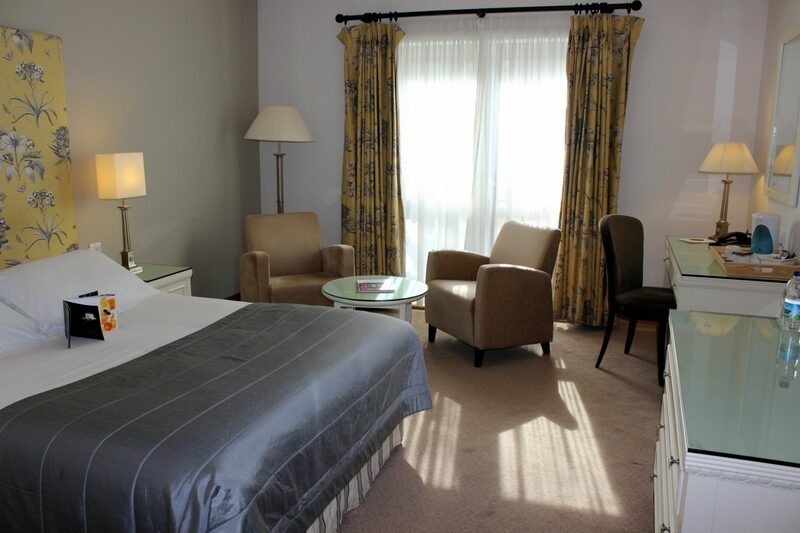 All rooms have a hospitality tray with tea and coffee making facilities and bottled water refreshed daily, large screen TVs with Freeview, air-conditioning, ironing facilities and hairdryers. All rooms have en-suite bathrooms and branded toiletries. Our superior rooms are available with either 2 single beds or a king size bed (please be advised that this is a ‘Zip & Link’ bed). Some rooms overlook the golf course while others look out onto our courtyard garden. All rooms have a hospitality tray with tea and coffee making facilities and bottled water refreshed daily, large screen TVs with Freeview, air-conditioning, ironing facilities and hairdryers. In addition to our standard facilities, superior rooms provide robes slippers and a selection of complimentary toiletries. These rooms have super king size beds, two have with a four poster bed with a separate seating area (four poster beds on request and subject to availability) All of the Feature rooms also benefit from a sofa bed for children (extra charges apply). All rooms have superior tea & coffee making facilities and bottled water refreshed daily, large screen TVs with Freeview, air-conditioning, ironing facilities and hairdryers. The Feature rooms come with a selection of complimentary luxury toiletries along with slippers. Feature rooms all have en-suite bathrooms. The hotel boasts two Junior suites ideal for your Wedding night, both suites have balconies over looking the Golf Course, large super king-sized bed and deluxe coffee making facilities. The luxurious en-suite bathrooms have a walk-in shower, separate whirlpool bath tub and his and hers sinks. A wide selection of complimentary Forest of Wellbeing branded toiletries are included along with slippers. Fully accessible room with wider doors for wheelchair access and a wet-room with a shower only and a lowered sink unit. It is also equipped with handrails and an emergency cord. These rooms have twin beds or king size (please be advised that this is a ‘zip & link bed’) with a small seating area. Please specify your bed preference on booking. Rooms with wheelchair access wet rooms, no bath.